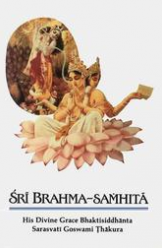 sarva-jña—omniscient; gaurāṅga-prabhu—Śrī Caitanya Mahāprabhu; jāni’-knowing; tāṅra—his; mana—mind; śikṣā-rūpe—as an instruction; kahe—says; tāṅre—unto Raghunātha dāsa; āśvāsa-vacana—words of assurance. sthira hañā—being patient; ghare yāo—go back home; nā—do not; hao—become; vātula—crazy; krame krame—gradually; pāya—gets; loka—a person; bhava-sindhu-kūla—the far shore of the ocean of material existence. markaṭa-vairāgya—monkey renunciation; nā kara—do not do; loka—to the people; dekhāñā—showing off; yathā-yogya—as it is befitting; viṣaya—material things; bhuñja’-enjoy; anāsakta—without attachment; hañā—being. The word markaṭa-vairāgya, indicating false renunciation, is very important in this verse. Śrīla Bhaktisiddhānta Sarasvatī Ṭhākura, in commenting on this word, points out that monkeys make an external show of renunciation by not accepting clothing and by living naked in the forest. In this way they consider themselves renunciants, but actually they are very busy enjoying sense gratification with dozens of female monkeys. Such renunciation is called markaṭa-vairāgye-the renunciation of a monkey. One cannot be really renounced until one actually becomes disgusted with material activity and sees it as a stumbling block to spiritual advancement. Renunciation should not be phalgu, temporary, but should exist throughout one’s life. Temporary renunciation, or monkey renunciation, is like the renunciation one feels at a cremation ground. When a man takes a dead body to the crematorium, he sometimes thinks, “This is the final end of the body. Why am I working so hard day and night?” Such sentiments naturally arise in the mind of any man who goes to a crematorial ghāṭa. However, as soon as he returns from the cremation grounds, he again engages in material activity for sense enjoyment. This is called śmaśāna-vairāgya, or markaṭa-vairāgya. “Things should be accepted for the Lord’s service and not for one’s personal sense gratification. If one accepts something without attachment and accepts it because it is related to Kṛṣṇa, one’s renunciation is called yukta-vairāgya.” Since Kṛṣṇa is the Absolute Truth, whatever is accepted for His service is also the Absolute Truth. The word markaṭa-vairāgya is used by Śrī Caitanya Mahāprabhu to indicate so-called Vaiṣṇavas who dress themselves in loincloths trying to imitate Śrīla Rūpa Gosvāmī. Such people carry a beadbag and chant, but at heart they are always thinking about getting women and money. Unknown to others, these markaṭa-vairāgīs maintain women but externally present themselves as renunciants. 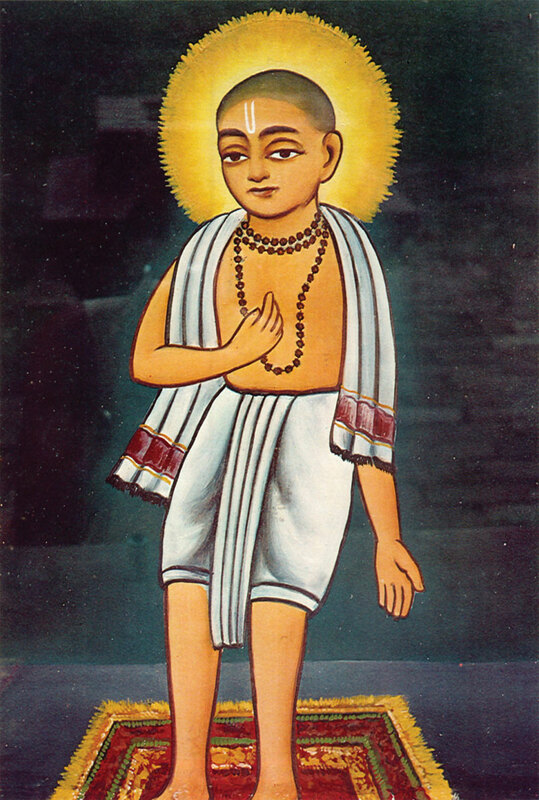 Śrī Caitanya Mahāprabhu was very much opposed to these markaṭa-vairāgīs, or pseudo-Vaiṣṇavas. Śrī Caitanya Mahāprabhu continued: “Within your heart, you should keep yourself very faithful, but externally you may behave like an ordinary man. Thus Kṛṣṇa will soon be very pleased and deliver you from the clutches of māyā.